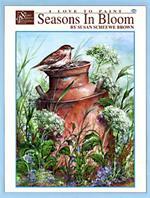 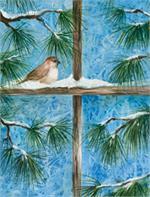 Paint along with PBS Television artist Sue Scheewe. 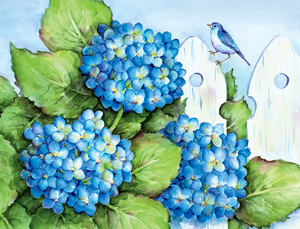 Step by step, easy to follow instructions with a color palette for each project to guide you successfully through every painting. 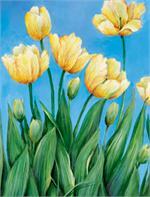 Plus, patterns and color photos for each painting. 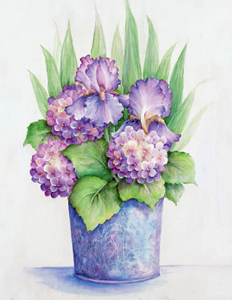 Sue Scheewe has created a book filled with flowers to paint timeless projects. Fresh Yellow Tulips sway in the spring breeze. Iris stand majestic and beautiful alone and with hydrangeas. 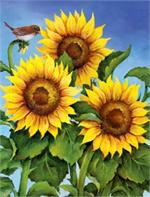 Sunflowers have attracted a summer chickadee to rest on a flower head. 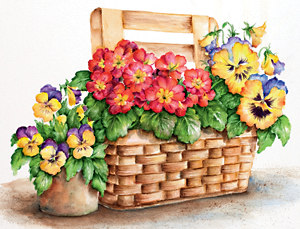 Pansies and primroses colorful brim from a basket. 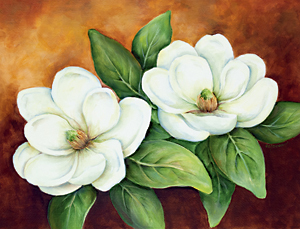 Magnolias elegant and timeless beautifully fill a canvas. 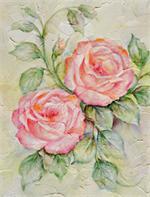 Roses delicate and pink softly drape across the painting. 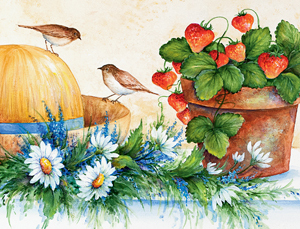 Chickadees balance on the brim of a straw garden hat nestled in white daisies, next to a clay pot growing ripe red strawberries. 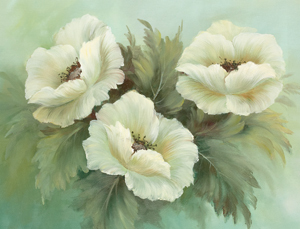 All of these paintings and more in this beautiful book.